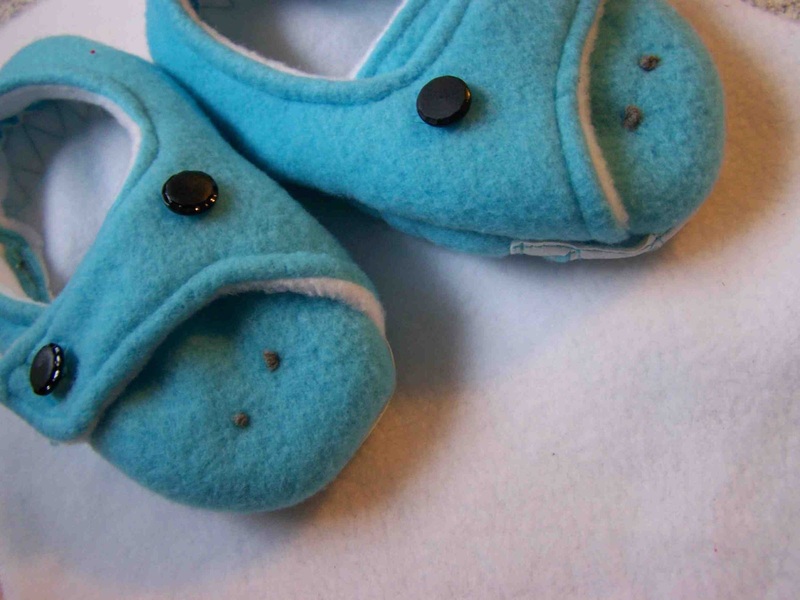 By far, one of my most popular posts has been my fleece slipper pattern and tutorial. In the past I've only had it available in one size, toddler 7/8. Let me just say, that grading a pattern takes time, and quite a bit of it. Just like the rest of you, I'm busy. Busy with kids, holidays, work, etc. I haven't had the time, or energy, to make a full graded pattern, and if I did, you better believe that I wouldn't be sharing it for free :). I've had several readers ask for different sizes, and several say that they have had success making them in different sizes. So, first, I'm going to share what my readers have told me. Many have said that they are able to resize the pattern by changing the scale in your printer settings. Generally when you go to print a document, a print window will open, and provide you with the option to print the image smaller or larger. For example, if you needed the pattern slightly smaller, you could switch the settings to 95%. I see a few problems with adjusting the pattern this way. First off, feet don't often grow in length and width at equal rates. Often feet will grow longer, and even slim down as toddlers turn into kids. I had planned on writing up a tutorial about adjusting patterns this way last year, but after attempting to scale down the pattern to fit my infant boy, I realized it just wasn't going to work. I could adjust the pattern in length just fine, but it shortened the back of the heel far too much, they would not stay on his feet. So, if you need to adjust the pattern a size up or down, you will probably have really good luck doing it this way, but adjusting it too much up or down, and you'll run into a few problems. (plus, babies don't have defined enough heels for the shoes to stay on well. 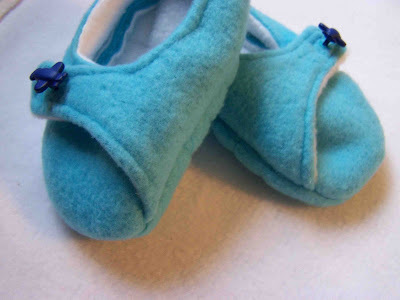 Add elastic if you are making them for a babe). If you are wondering how much you need to adjust the pattern, I'm not going to do the math for you. I will however give you a couple of pointers. 2-Take the foot measurement and add 1/8-1/4" for wiggle room. 3-Add the seam allowance times two. This way you'll know how long the pre-sewn sole needs to be. Knowing the size of the pre-sewn sole, and the size of the printed pattern piece sole, you can figure out the percentage for pattern adjustment. So, hopefully that will help a bit. Buttons, French knots, and some vinyl shark teeth (sole). CHOMP CHOMP. Clark's feet have grown a bit in the last two years, so I needed to re-scale my pattern for his new shark slippers. I drafted the pattern anew. His feet are now a 10/11. Hooray, I'm sharing my 10/11 pattern with you. Miles' feet are HUGE, for a lil' guy. He's sporting 5/6. Hooray, I'm sharing the 5/6 pattern with you also. You can find the 7/8 original pattern here. See original 7/8 pattern for pattern marking key. Hope this helps keep all those little toesies warm this winter. These slippers are great. Thanks for sharing. Thanks for autograph in such an advantageous post. I had a glimpse of it and couldnРІР‚в„ўt stop ceremony till I finished. I acquire already bookmarked you. thanx for showing us such a wonderful information.i like it.thank you so much.